All personal trainers and fitness instructors want to see their clients get results from the training that they provide, but it’s important they know their own limits. Personal trainers are often asked for advice about dietary supplements, while others even take on the additional role of selling them. I caution personal trainers about giving such advice on any level because, believe it or not, they can be swept up as a defendant in a product liability suit. The dietary supplement industry has been the focus of an FDA criminal investigation for widespread deceptive marketing tactics and hidden ingredients in some products. In 2015, charges were filed against 117 manufacturers and distributers of products falsely marketed as dietary supplements. Another big issue with dietary supplements is how many contain undeclared substances – as many as 25% of those on the market. Not all those undeclared substances are necessarily harmful, but surely the manufacturers have an obligation to inform consumers as to what they’re ingesting. In 1994, Congress defined dietary supplement as “a product taken by mouth that contains a dietary ingredient intended to supplement the diet.” This resulted in supplements fitting into the regulatory category of foods, not drugs. That being said, the regulations for supplements are much more lax than those for prescription medications. This leaves an opening for supplement manufacturers and distributers to infiltrate the market with impure and mislabeled dietary supplements. If a client to whom you offered advice about or sold a dietary supplement has an adverse reaction due to an undeclared substance, you could be sued along with the manufacturer, distributor, and retailer in a product liability lawsuit. A case that made it to the New York State Supreme Court detailed in the New York Times article “Health Club and Trainer are Sued in a Death” shows what can happen when a trainer goes too far in advising clients on dietary supplements. The California family of a man who died of cardiac arrest received a settlement in their lawsuit alleging negligence and wrongful death against a Studio City gym and a personal trainer. 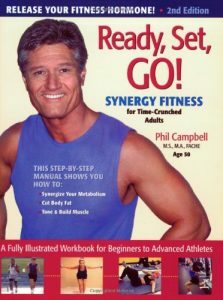 The gym member, Marc Palotay, went into cardiac arrest while working out under the supervision of his personal trainer. The amount of the settlement was not disclosed. 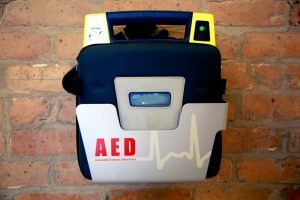 The trainer, who was an independent contractor and not a Studio City employee, failed to attempt aid with an AED (automatic external defibrillator) despite knowing his client was having a heart attack. The lawsuit alleged Palotay didn’t receive defibrillation until paramedics arrived, a delay which resulted in his death. 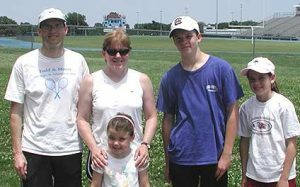 The family claimed no defibrillator was in place at the gym, as mandated by state law. A Studio City manager stated that an AED was on the premises, but the personal trainer was responsible for its use in this case. The same manager pointed out that Palotay, upon joining the gym, had signed Studio City’s waiver of liability. Laws regarding AEDs began emerging across the U.S. in the 1990s, including Good Samaritan laws. The hope was that legislation would decrease the risks of liability and encourage placement and use of AEDs in public settings. While each state has existing AED-related laws, they vary widely. AEDs are required in health clubs by state law in Arkansas, California, Connecticut, Illinois, Indiana, Iowa, Maryland, Massachusetts, Michigan, New Jersey, New York, Pennsylvania, Oregon and Rhode Island. Most hotel spas are exempt from such laws. Washington, DC requires AEDs in recreational facilities. The Sudden Cardiac Arrest Foundation provides information on AED laws in each state here. “Studio City gym heart-attack death lawsuit settled.” www.dailynews.com. 26 Oct. 2016. Melinda Hinkal found out the hard way that it’s important to read before signing that liability waiver. She, like everyone else who applied to join the gym, was required to sign a waiver before she could begin working out in the facility. After joining, Hinkal claimed that too much weight on the equipment she was using caused a neck injury. It was her contention that the trainer advised her to continue working out even after she complained of pain. 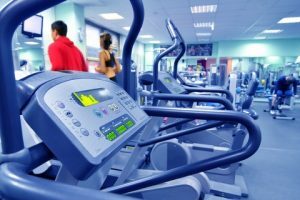 The PA State Superior Court decision ruled she could not sue the gym because the signed waiver stipulates that gym members “assume all risks of personal injury.” However, not all the judges agreed with the ruling. A dissenting judge argued that the waiver agreement “contravenes public policy,” which is intended to protect consumers. The dissenting judge also noted that the waiver didn’t clearly stipulate that personal training sessions were covered. Would your waiver hold up in court? This case shows that the outcome of any given case clearly depends on the judge’s interpretation. This case also provides a clear example of some of the points I bring up in “Are Waivers/Releases Worth the Paper on Which They’re Written?” Chief among those points is that courts are more likely to rule in favor of a waiver that was custom written for specific activities and that aims to meet the requirements of your state’s laws. So, what is a well-written waiver/release? Quite simply, nearly every phrase in every sentence must be written to avoid the pitfalls that resulted in actual rulings against waivers. The above-mentioned article lists 10 common waver risks to avoid. Given the dissenting opinion and the pitfalls mentioned above, it’s logical to assume that a different panel of judges might have ruled in Hinkal’s favor. So, don’t assume you’ll beat the odds if your waiver comes under scrutiny. 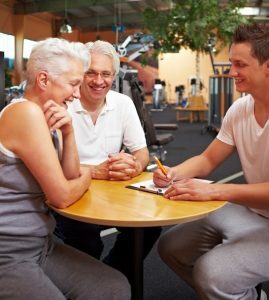 We have many other risk management articles pertinent to health clubs and fitness trainers. And we offer best-in-industry fitness instructor insurance and fitness center insurance at up to 38% savings. Source: Matt Miller. “Woman signed away her right to sue over injury at Gold’s Gym, divided Pa. court rules,” pennlive.com. 29 Jan. 2016. The treadmill is the riskiest of all workout machines because it has a motor that propels it, unlike ellipticals and stationary bicycles. However, most injuries are minor and deaths, as in the David Goldberg case, are rare. There were an average of three treadmill-related deaths per year reported between 2003 and 2013, according to the U.S. Consumer Product Safety Commission. There were 24,400 treadmill-related injuries requiring emergency room visits reported in 2014. There were 62,700 injuries related to exercise equipment, which includes weights, trampolines, swimming pools, and golf clubs. Treadmills account for the largest number of injuries in that category. Emergency room doctors report that the majority of injuries from sports equipment are associated with overuse, such as an injured tendon from a long run on a treadmill. 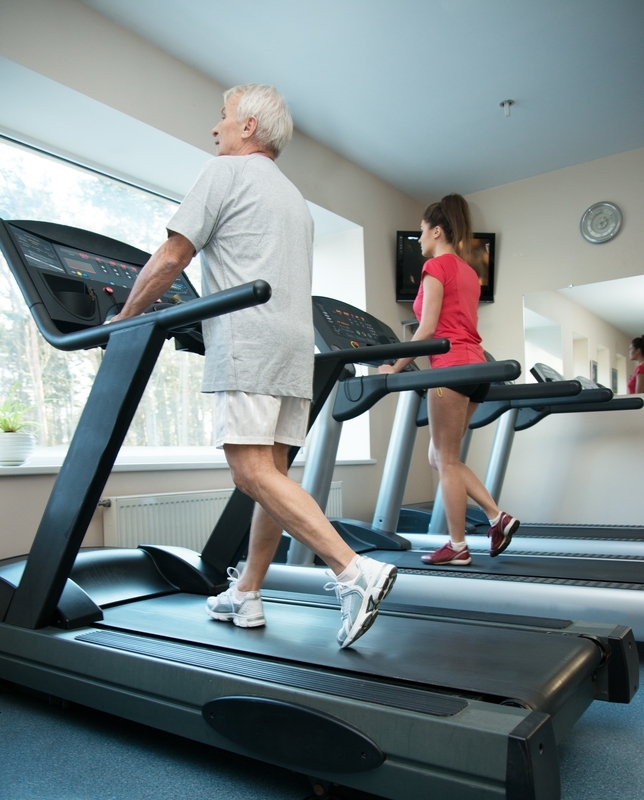 Treadmill accidents tend to occur more frequently among older and inexperienced users. 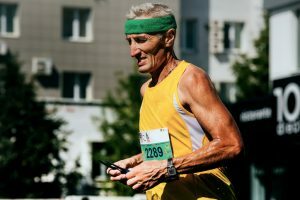 Getting instructions on use of the machine is key in avoiding treadmill accidents and consulting with a physician before embarking on treadmill activity is highly recommended for seniors. Unknown heart problems can surface with exercise, which can cause people to die suddenly while exercising. These types of hidden heart problems can be caused by a genetic abnormality or chronic coronary disease that cannot withstand strenuous exercise. Heart problems account for about 80 percent of sudden deaths in which people collapse and are unable to be resuscitated. Source: Sabrina Tavernise, “Treadmill May Be Riskiest Machine,” nytimes.com, 05 May, 2015.